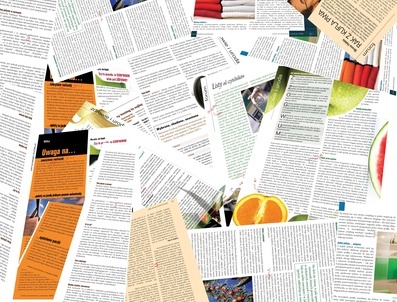 Research indicates readership of ads not dependent on the adjacent editorial content. It has been a long held belief that ads placed adjacent to relevant editorial copy improves the readership of those ads. And ads placed in the front half of a publication have higher readership than those placed in the back half. But a recent study conducted by Gfk MRI and reported by Lucia Moses in Mediaweek indicates this is not necessarily true. The research firm studied over 68,000 ads that ran in consumer magazines over the past 18 months to determine if ad placement affected it’s readership. The research indicated that ads that ran adjacent to editorial rated better than ads adjacent to other ads. The lack of clutter raised readership from 46% for ads adjacent to other ads to 51% for ads adjacent to editorial copy. One of the surprising findings was that ads that ran adjacent to relevant editorial (defined as being about the same subject) performed no better than ads that ran adjacent to irrelevant editorial. It has been a commonly held belief that the readership of ads improved significantly if placed adjacent to relevant editorial. Apparently this may not be true. One big bump was gained by ads running adjacent to the table of contents. Such ads increased readership to 59% because readers lingered on and returned to the table of contents. Other studies conducted by Affinity found little difference between recall of ads whether they appeared in the front or the back half of publication. So maybe we are wasting our time trying to match our ads to similar editorial content and fighting to get our ads in the front of the magazine. Instead the emphasis should be on negotiating placement next to any editorial and not other ads.